Making dinner doesn’t have to require multiple pans and dishes. You can easily make a delicious dinner in one sheet! 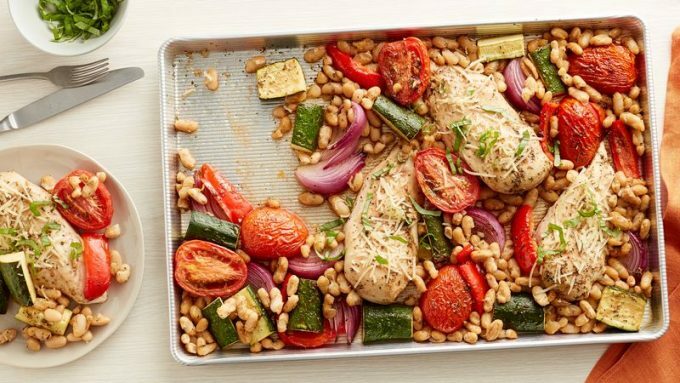 Check out this Tuscan Chicken Breasts and Vegetables Sheet-Pan Dinner recipe from Betty Crocker. A delicious Italian flavor that will make you still feel like you are in Tuscany!